Originally published in Paris in 1929, this collage novel by avant-gardist Max Ernst constitutes a seminal 20th-century work of art. The artist's striking combinations of engravings from Victorian-era books and magazines, accompanied by enigmatic captions, offer a universe of mystery replete with all the possibilities of the bizarre dream world of the surreal. Images speak, language illustrates, and the reader's imagination provides the glue. "Irrational, violent, tender, ironic, Max Ernst has invoked the whole kaleidoscope of human phenomena in these collages ... [turning them] into stunning proposals for adventure," noted this volume's translator, Dorothea Tanning. 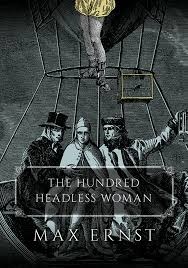 The Hundred Headless Woman was the first of Ernst's collage novels, and its classic status ensures a place in modern art history classes. Every visit and re-visit to its pages tells a different story, an endlessly fascinating tale that runs an emotional gamut from keen humor to outright horror.